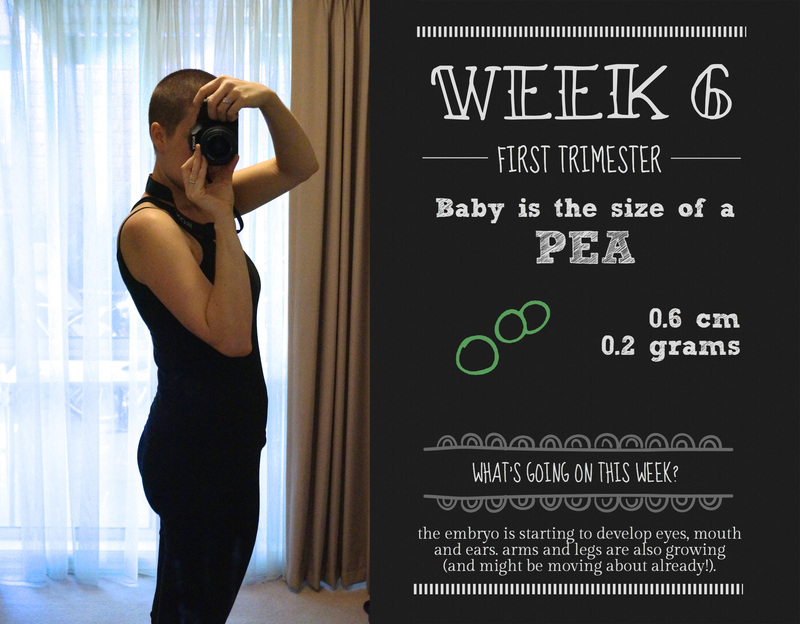 What I’m cooking: my little pea’s face is starting to develop, with the eyes, ears and nose forming this week. And, although they’re still basically paddles, the arms and legs are growing and starting to, well, paddle about! Main symptom: nausea is creeping in, setting in so far at around 6-7pm, and making me regret pretty much anything I ate for dinner. Today it started at 4pm, so it looks like we’re a go for this whole spewy thing! What’s on this week: nothing! Literally, as I’m on holidays for the week. Basically a countdown until my first scan in Week 7. “Yep! Flowers!” and then we both burst out laughing for a while. I even Googled to see if this was a common issue. You’ll love this. 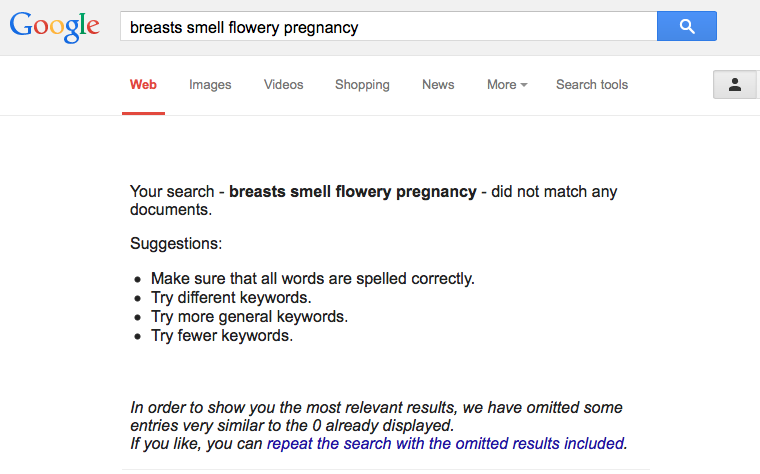 I typed in “breasts smell flowery pregnancy”, and do you know what Google gave me? Nothing! Nothing!! Google, why have you forsaken me? I love that last bit – “we have omitted some entries very similar to the 0 already displayed.” Gee, thanks Google. What a huge help you’ve been! All I could find is that pregnant women have a stronger sense of smell, and later in the pregnancy the old feedbags might start to smell like milk, or musky. That’s I suppose pretty close, but they’re so, so flowery! Crazy. The last note this week is you might notice in my progress photo I have somewhat shorter hair – I shaved my head for cancer research 2 weeks ago, so I’m just a bit fuzzy now! It was a pretty amazing experience, and we raised over $7,000, so I might look like a bit of a butch pregnant woman for the next few months, but it was well worth it. Hopefully my next post will give you all the ins and outs of how hugely pregnant I feel, but until then I’ll just be here, peeing on sticks.